Porthmellon Flat is a spacious and beautifully appointed, two-bedroom holiday home situated close to Porthmellon Beach and within easy walking distance to the heart of Hugh Town. The apartment is on the ground floor although the building itself is set in a slightly elevated position. 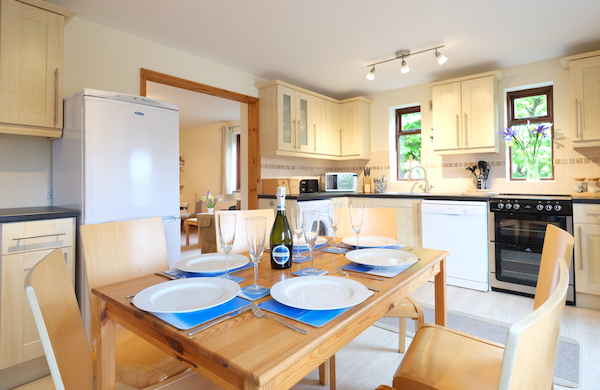 The accommodation comprises a large dining kitchen, complete with dishwasher and washer dryer, a comfortable lounge, one twin bedroom, with en-suite facilities, one double bedroom and a family shower room. In addition to sea views, Porthmellon Flat benefits from a sun deck with outdoor seating and a barbecue platform for disposable barbecues. Porthmellon Flat is perfectly suited to family holidays and groups of friends sharing and comes highly recommended. There is also an option for groups of up to six guests, using an extra twin room with its own ensuite . There will be an extra charge of £250 per week to reflect such arrangements.